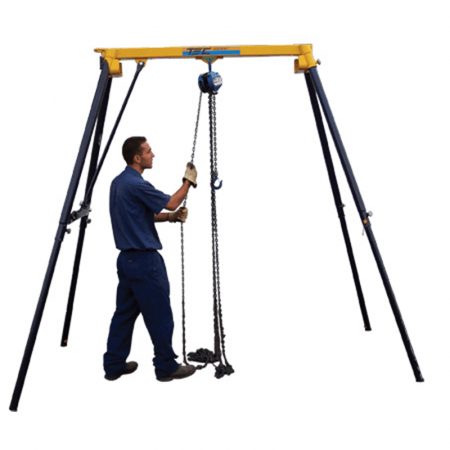 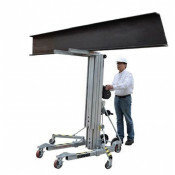 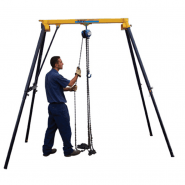 Gantry's provide a portable lifting point for direct overhead lifting. 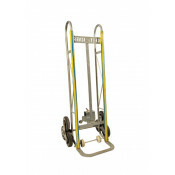 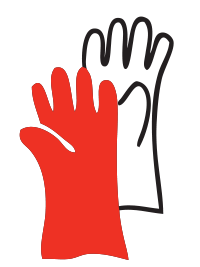 The heavy duty construction is lightweight yet provides strength to handle heavy loads. Used in conjunction with a chain block or similar hoist, gantry's come with lifting capacities up to 5 ton.